For centuries, the Yogis have developed pranayama, the "expansion and restraint" (ayama) of the "life energy" (prana), as a means of self-study and self-realization. While formal pranayama may take years to fully master, its basic methods are easily learned and can immediately "breathe life" into an asana or meditation practice. 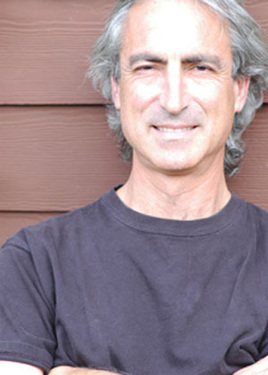 RICHARD ROSEN has been practicing pranayama since 1982, and teaching yoga since 1987. He’s written two books on the subject, The Yoga of Breath (Shambhala 2002) and Pranayama: Beyond the Fundamentals (Shambhala 2006), and recorded a seven-CD instructional set titled The Practice of Pranayama (Shambhala 2010). Richard is director of the Piedmont Yoga Studio in Oakland. His latest book is Original Yoga: Rediscovering Traditional Practices of Hatha Yoga (Shambhala 2012).